Elder Alex Anderson of Fillmore, Utah, returned home to Utah honorably 18 months ago after completing his two- year assignment to labor in the Washington D.C. South Mission. On Monday of last week, he died suddenly from a brain aneurysm. Hundreds gathered in his chapel in Fillmore, Utah, on Saturday morning to share an out-pouring of love at his funeral service. We share below Elder Anderson’s letter written to his mission president after serving just 8 months in the mission field. 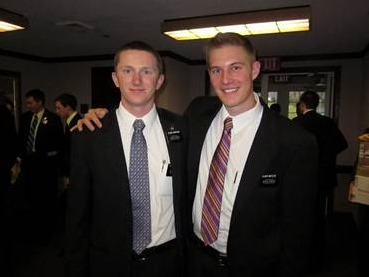 I would like to share part of my conversion story with you, now that I have been in the mission field for almost 8 months. I have always enjoyed attending church and learning about the gospel. I faithfully attended my church and mutual meetings, and learned a lot in seminary. I have wanted to serve a full-time mission since I was a young boy.